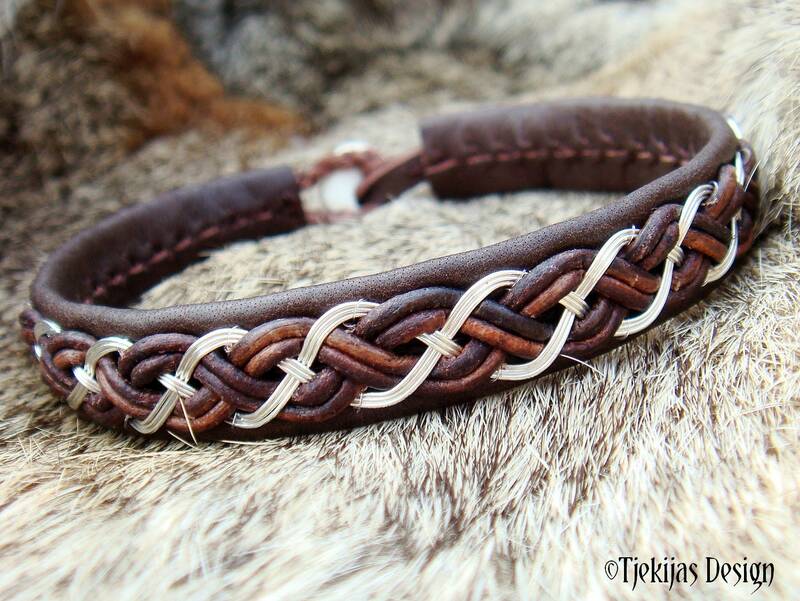 Sterling silver wire braided with leather cord, and hand stitched on reindeer leather or lambskin. 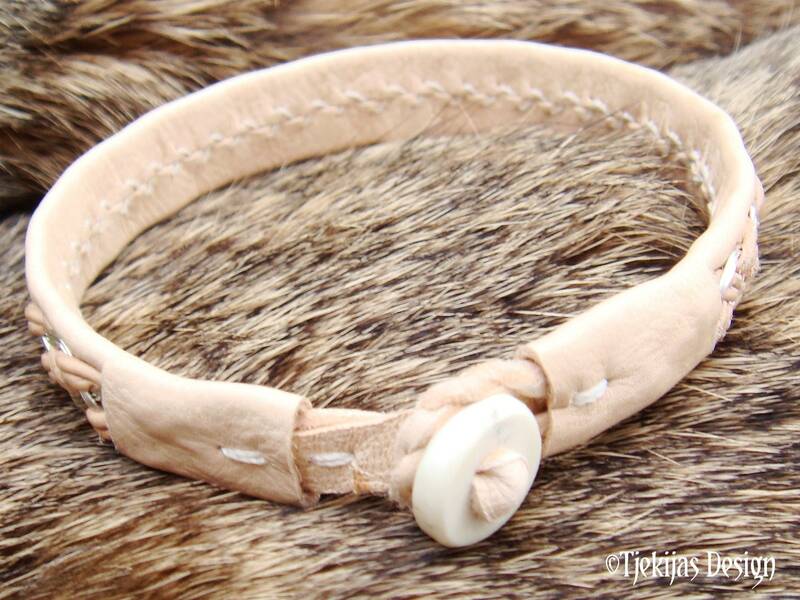 Completed with a hand carved naturally shed reindeer antler button. Width: approx. 1,2 cm (0,47"). Design: DRAUPNIR Silver - Magic gold ring, with ability to multiply itself, owned by the Norse God Odin. 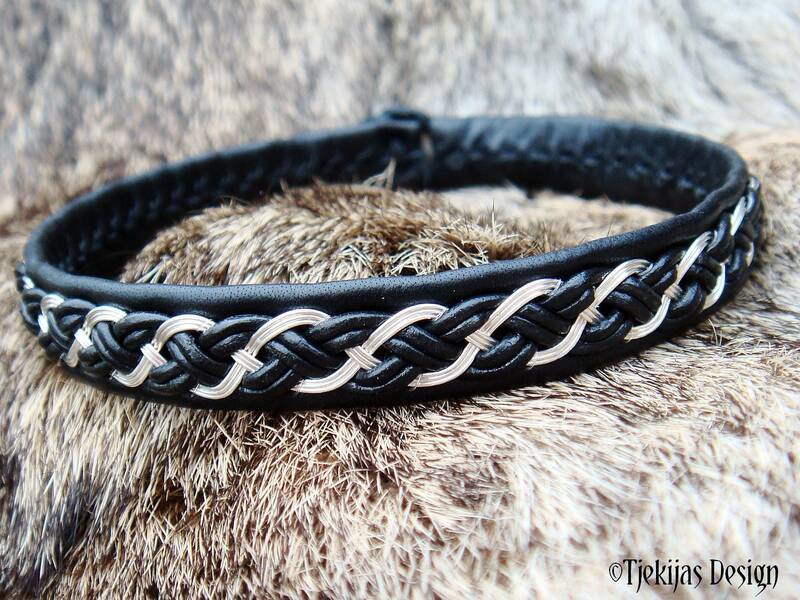 Your new Draupnir silver bracelet normally ships within 3-4 days from received order. 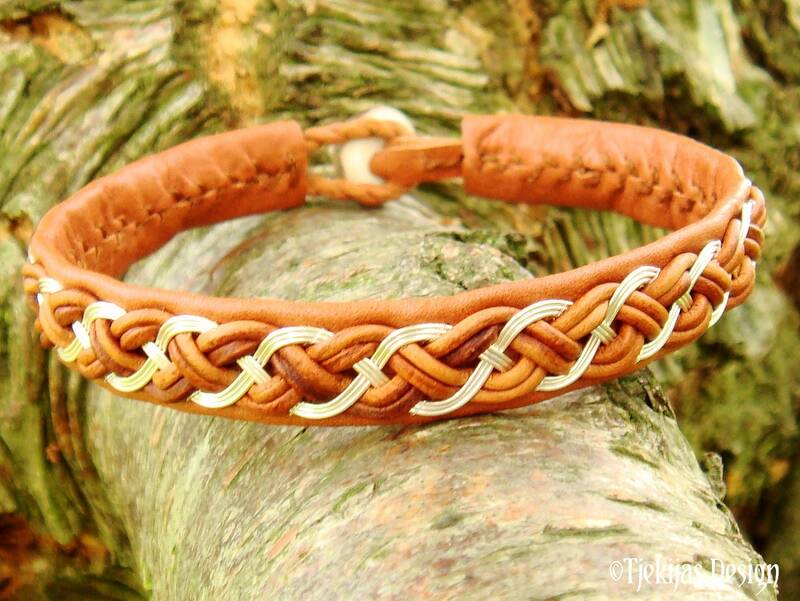 Love this bracelet. 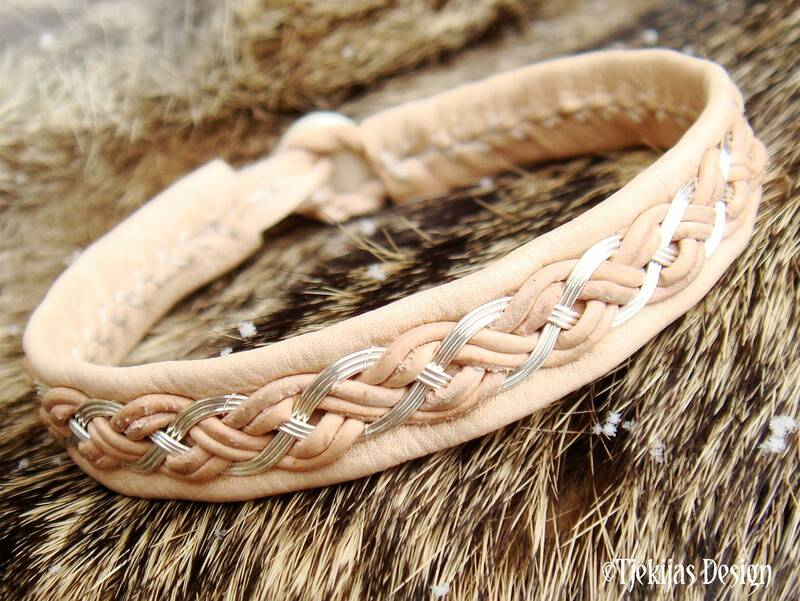 Have purchased 4 from this seller. She is so easy to work with. Answers questions very quickly. 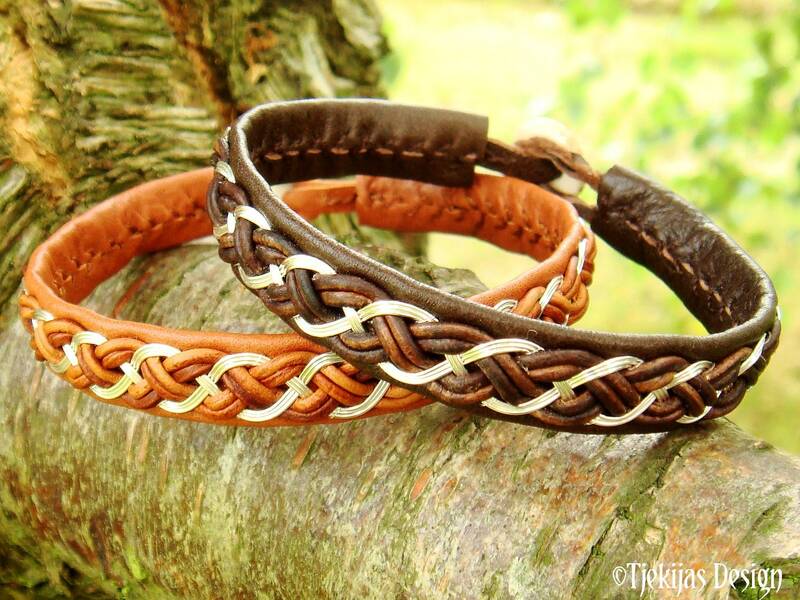 Received the bracelet very quickly. Fantastic! Made a great 40th birthday gift. 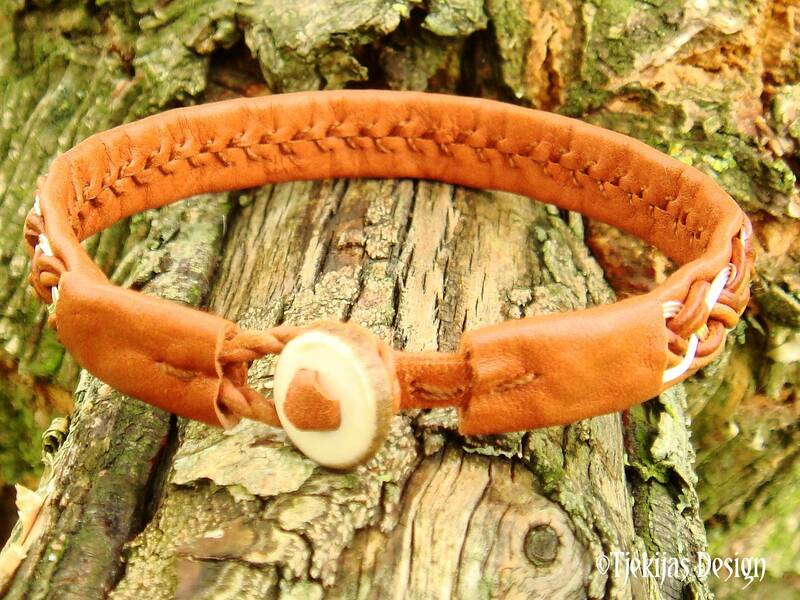 I corresponded with Lisbeth before purchasing her bracelets. I ordered three and they were beautiful. A work of art. They arrived in a timely manner. I would definitely purchase from this shop again.